Kasha Ki Aasha started offering the best in live music performances in October 2015 every Saturday night. 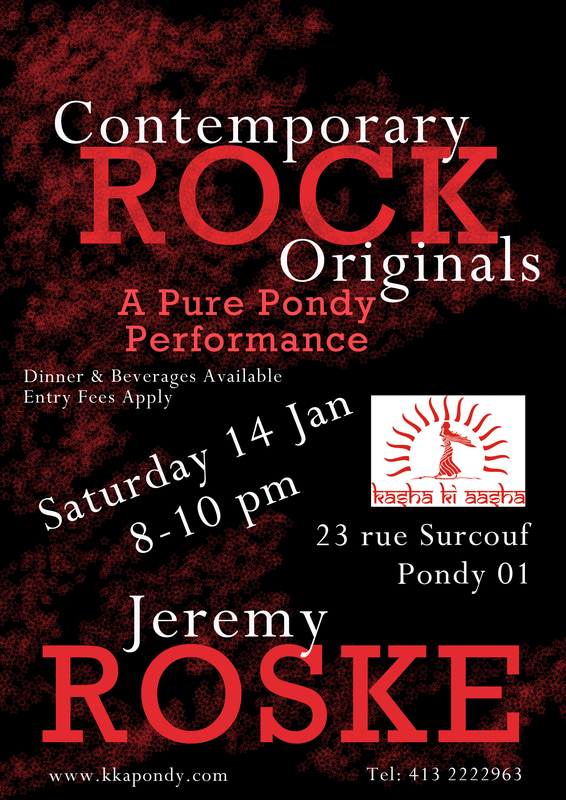 Come share this Pure Pondy Performance with American Composer/Musician Jeremy Roske this Saturday at 8 pm and make your your weekend an unforgettable one. Enter your email address to follow Kasha Ki Aashaand receive notifications of new posts by email.